Fast: engine working environment improved,noise and vibration reduced, and power enhanced in 15 minutes. Powerful: triple protection including innerreinforced, surface repaired and outer wear proofed by Nano-particles. Environmental: reduce exhaust particles andsmoke emissions. No side effects: it is suitable forlong-term use of various cars, without any adverse effects or side effects. Engine protection: triple protection toensure that the engine is powerful in any condition. Scuffing reduction: 80%-90% reductions inengine wear and tear; still provide superior protection under the conditions oflubrication system failure or non-oil. Fast start: superior lubrication functioncan significantly reduce the friction coefficient and improve the initialrotation speed. Auto repair: wear and tear repaireddynamically, engine life extended 2-3 times. Noise reduction: effectively reduce enginenoise and vibration. Corrosion prevention: prevent frictionparts from corrosive pitting. Power strengthening: restore the enginecylinder pressure. Power increase by 5%-35%. Fuel saving: 5%-25% consumption saved. 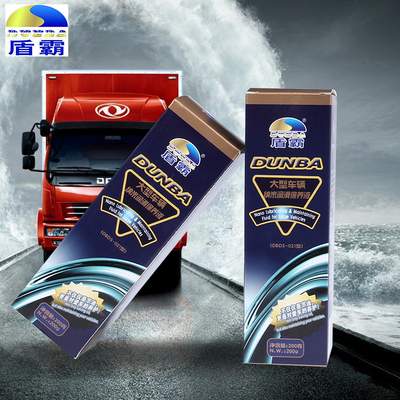 Environmentally friendly: improve oilburning, blue smoke and other conditions, to reduce exhaust particles by20%-30% and smoke emissions by 50%. Auto repaired: putengine maintenance intopractice by auto repaired using Nano-particles. Three in one: maintaining, repairing andfuel-saving simultaneously. The product can be easily and stablydispersed in all kinds of lubrication fluid. The main effect of this product iswear-proofing, repairing and fuel-saving. The product is suitable for all kindsof cars power and transmission systems. Add the fluid to lubricating oil, keep theengine ticking over around 2 minutes, and start driving after mixing. Normalusage of this product is about 3.5% of the total lubricating oil, in otherwords, please mix 4 liters of lubricating oil with one bottle (150 grams) ofDBDS-012.